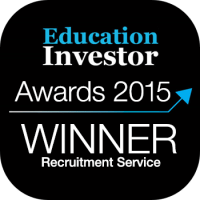 We’re Engage – the most trusted international education recruitment service, because we believe that happy and supported teachers do their best work. We’re changing the landscape of education in the UK and providing schools with the very best teachers for the next generation of school children — and we want you to help us. 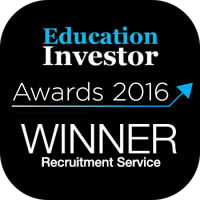 We’re best known for our award-winning recruitment event, iday. Finding your dream job in a great school couldn’t be easier, with multiple exclusive interview opportunities all in one day. Wherever you are in the world, we’ll pay for you to come and take part. iday is designed to help both teachers and schools sidestep the traditional challenges associated with recruitment. And it really works, with 94% of all iday interviewees ending up with a job offer. Being fully supported and trained in your role as an educator means happy schools, happy pupils, and happy teachers! At Engage, we always put your development first, giving you everything you need to be the best educator you can; so you can concentrate on shaping young people’s lives. We offer fully accredited CPD sessions, one-on-one training, and can even train you to become a teacher for free. No matter where you are in your teaching career, Engage is here to help you on your way. We have roles for teachers and support staff at every kind of school imaginable, so we’re the best placed agency to find you a role that’s as unique as you are. Whether you’re looking for a flexible daily supply position, or want to commit to a full-time permanent role – at a local authority school, SEND school, faith school, or academy – our expert consultants will know the perfect school for you.